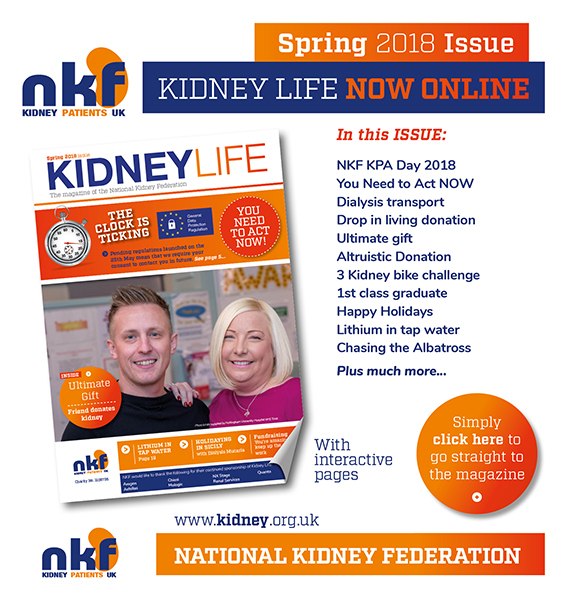 The National Kidney Federation is the largest UK kidney charity. You may have seen their newsletters in the waiting rooms in the hospital. They are now publishing their newsletters on line.